Are you interested in one of the most cost effective and fastest growing natural stone options in the industry? Culbreth Stone proudly offers natural thin stone veneers to Wholesalers and professionals who want to create top quality, beautiful solutions in natural stone siding homes, fireplaces and any applicable surface. We build our business around customer satisfaction. You will find that Culbreth Stone delivers unmatched customer service, the finest quality products and a passion for the stone industry. We offer a wide range of real stone products from the Southern Tennessee region, including thin stone veneers, sawn veneers and stacked stone veneers. There are many advantages of choosing our Natural Thin Stone Veneers over manufactured stone products. 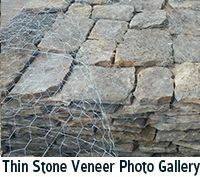 Thin stone siding is an all-natural stone product. Therefore, this product is highly durable and resists chipping and scratching better than manufactured stone. Natural Thin Stone veneers also provide a more versatile and natural look, as each piece has its own unique pattern. This natural thin rock siding is known for its significant cost savings as well. 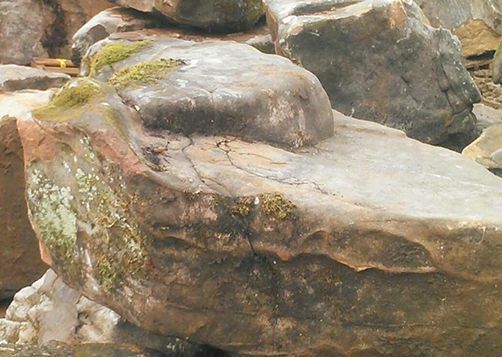 It does not require the heavy support structures such as ledges or wall ties that conventional full stone demands. Therefore, thin stone veneers not only save money in building material and shipping costs, but it reduces labor costs as well. Thin stone siding houses can be constructed up to three times faster than traditional stone. If you are looking for a new and better option for your natural stone project, consider sawn veneers or stacked stone veneers from Culbreth Stone. Our thin stone veneers allow builders to offer the real beauty and durability of real stone, yet have the easy install and affordability of man-made products. At Culbreth Stone, we strive to make your sawn veneer or stacked stone veneer order as seamless as possible. 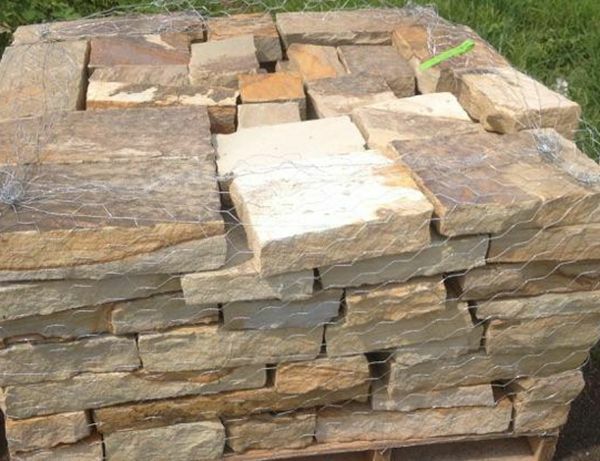 We proudly ship to resellers, contractors and other fieldstone/flagstone professionals nationwide. We take extra steps to ensure that your order arrives on time and in top condition. 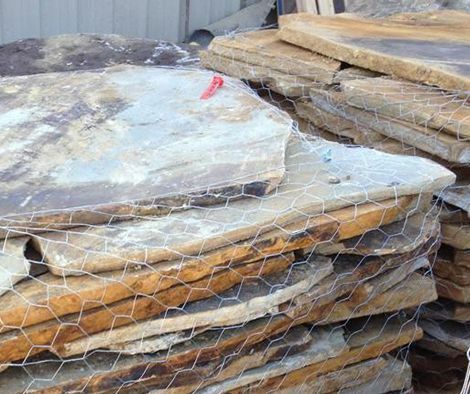 For the very best in wholesale natural stone products, contact us today. 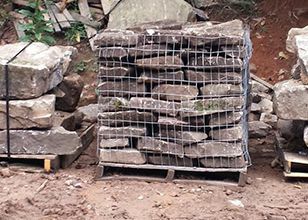 We look forward to helping you select from the finest Natural Thin Stone Veneer products available. 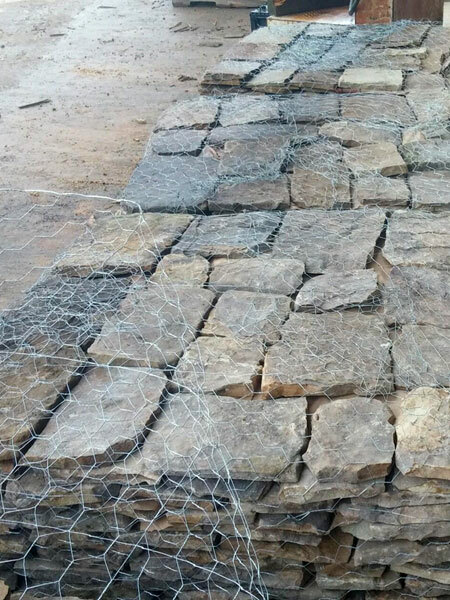 Culbreth Stone is wholesale supplier of Tennessee fieldstone and flagstone. Our Tennessee quarry serves clients in Alabama, Arkansas, Georgia, Louisiana, Mississippi, Missouri, North Carolina, Ohio, South Carolina, Tennessee, Virginia, West Virginia and throughout the entire united states.